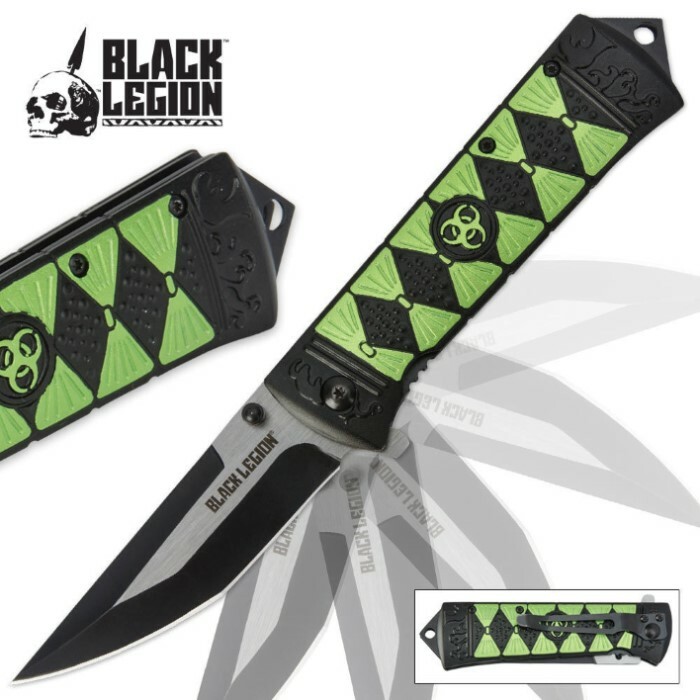 Perfect for slashing zombies or pretty much anything else, this undead apocalypse biohazard pocket knife features a 3.5 in. blade of 420A stainless steel with a heat-treated black finish. 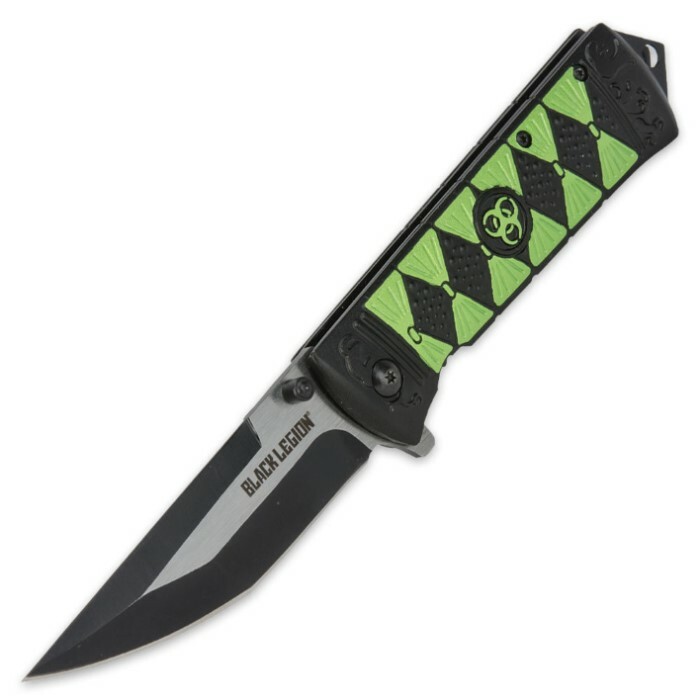 The best part is the fast assisted-opening mechanism that propels the blade into the locked and open position. 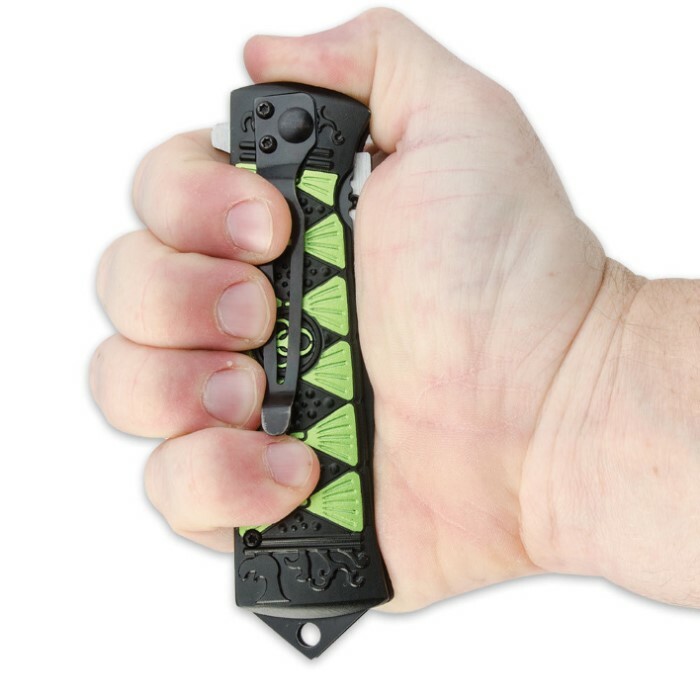 Simply engage the blade spur or thumb stud to initiate the mechanism and watch this knife get busy.